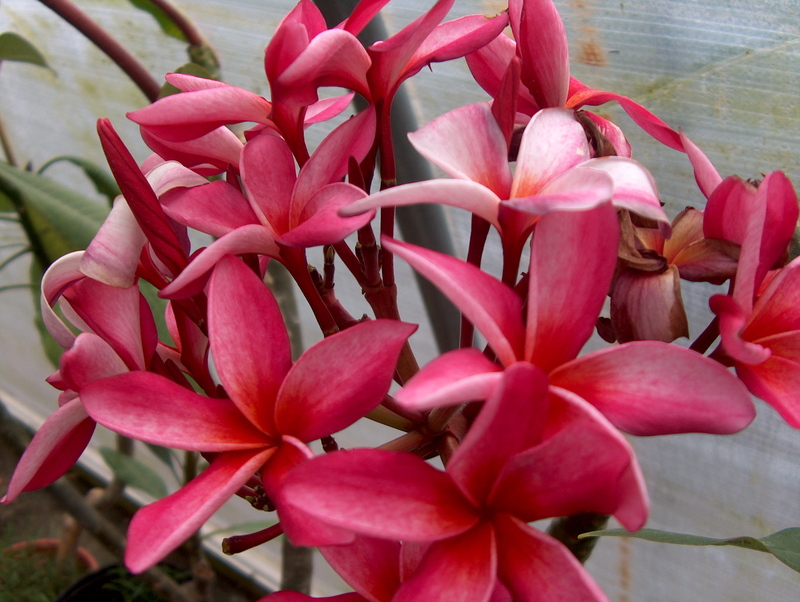 Comments: There are many varieties of plumeria coming in many flower colors. The large clusters of frangipani flowers are used in making leis in Hawaii. They are used as container plants where they are not hardy, as they are much loved for their powerful fragrance. They have thick, coarse textured leaves. Flowering may occur at any time of year when grown in the tropics and there the plants may grow up to 25 in height.